John and Dawn Stadeli are both active members of the Oregon Ground Water Association. The Oregon Ground Water Association has recognized them both with the Member of the Year Award for their contributions to the association and industry. Dawn received the award in 2005 and John received the award in 2009. John Stadeli’s service to the water industry spans his career. 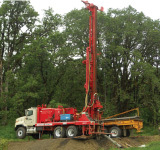 John has served the Oregon Ground Water Association in a variety of roles. He has served many terms on the Board of Directors as a representative, served on the Executive Board of Directors as President and Vice President of the Association, and also held many committee positions. John and Dawn Stadeli are both members of the National Ground Water Association as well. This membership provides access to continuing education courses to stay abreast of innovations in the water field as well as connection to other water professionals across the country. John served as the President of the Pacific Northwest Groundwater Association which represents the states of Oregon, Washington, Idaho, and Alaska. John has also served as a member of the State of Oregon Rules Advisory Committee and was appointed to two terms on the State of Oregon Ground Water Advisory Committee. John is an “accredited installer” by the International Ground Source Heat Pump Association (IGSHPA) for installation of ground water heat pumps. 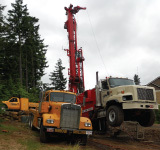 OVER 50 YEARS OF EXPERIENCE IN RESIDENTIAL WELLS!